Thank you so much for your thoughtful response. Based on your input, I am going with another model of bin that is a bit deeper than what I originally inquired about. It is the same model as the link I attached before, but it is a 7.5 gallon size, and it quite a bit deeper - just under 13 inches. As you said, I am hoping to conserve space and have them stacked. Yes, I thought your book was very good, and contained a lot of good information. 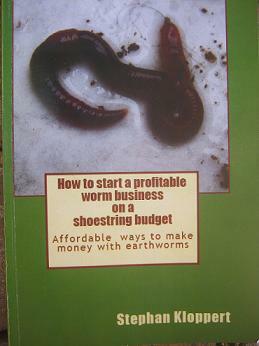 I have several articles and other books, but thought yours was probably the best resource for the information I was seeking - namely to start breeding and expanding the herd at home to build a small business. 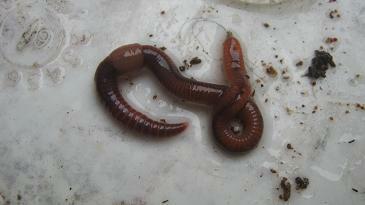 I have children that I am hoping learn to love the worms also, and hope they can participate as the operation grows. I am not sure why I had the issue with the kindle book; I am using the Kindle app for PCs on a laptop. In all probability, it is most likely an issue on my end with my app or device rather than your book. Thanks for providing the additional information. I have already recognized the aspect with the ANCs you mentioned - that they like to explore. I have had to perform a few rescue measures already! Overall however, they seem to be doing well. I am actually hoping to have time today to begin splitting the one larger bin I have into some of the smaller bins for breeding purposes. I have peat moss I have been soaking in water that I will drain and use, and have cow compost I was going to mix in along with shredded cardboard. One other question if you don't mind answering. With the breeder boxes, it seems you have them all set up as single boxes, without a "sump" bin underneath to catch drainage - is that correct? This is different than the stacked and nested worm farms you have produced if I am not mistaken. Considering the ANCs wandering nature, I have considered even adding weatherstripping to the top edges of these bins, and the new bins I have clamp in place that should provide enough seal to keep them from escaping. How would you configure such a setup to insure enough airflow? Should I add drainage to the bottom of these breeder bins, and vent holes near the top? In the breeder box photos you have, I don't see how where you have any venting. 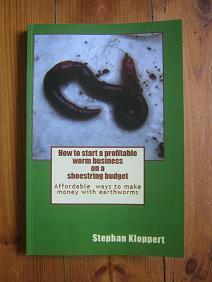 I am glad you enjoyed my book and hope it will help you to start and run a successful worm breeding business from your home. I tried to share as much detailed information as possible in the book and so far got a lot of good feedback from friendly people like yourself. Reading through your information I believe as well that with all this technology constantly changing often a small glitch somewhere can create a problem with transporting of information. Well let me get to your questions about the worms and breeder bins. I believe the size of bin you picked for your breeder bins will be just perfect. 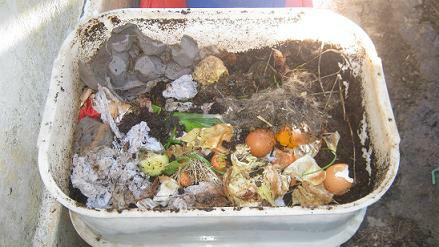 I like worm bins to be a convenient size and think that bins should not be to heavy for women to carry easily as lots of ladies like to recycle their food waste in worm bins at home. Stackable bins work best in my opinion as they reduce work and make better use of the space that is available. Over the years I had some worm breeder bins that drained the excess liquids into the floor of my garage but most breeder bin towers that I set up consist of up to 9 bins with worms and a bin at the bottom that collects the worm leachate. This bin has a tap attached to it which makes it easy for me to drain it whenever I need or want to. You mentioned that you want to use peat moss as a bedding for your breeder boxes. 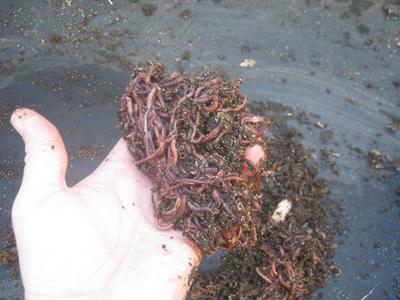 Keep in mind that some peat moss mixes that are sold commercially can be acidic which could harm your worms. So make sure it's safe. 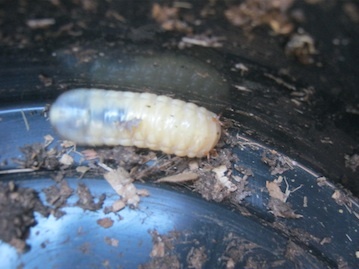 A light above worm bins is usually the best way to make sure they stay inside it but there are as well some other ways to keep your worms from crawling out of their worm bin. Crawl traps on the top of the inside walls of bins work very well. Anything that makes it difficult or even impossible for worms to get out helps and there are many ways to build such traps so I am sure that one of your ideas will work. 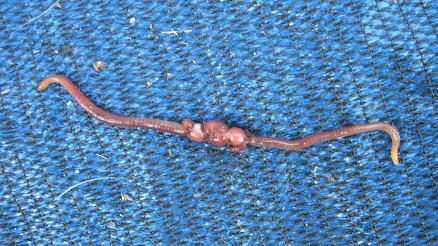 But as you noted as well you must make sure that the worms don't suffocate. Having said that it takes actually a long time for them to run out of oxygen so if you have just some tiny openings in your bins or open their lids from time to time you shouldn't have any issues. Well thank you for your invitation and we will keep it in mind and who knows might one day take you up on your generous offer!